Why choose MyTub for worcester domestic gas boilers? MyTub service is second to none in the UK, no other company aims to fulfill your requirements like MyTub does. We have fully trained and experienced staff ready to take your order, find the nearest branch with the goods ready on the shelf to deliver to your address and ensure you get your order delivered to you as quick as humanly possible. We keep you informed of the progress of your order, good or bad news. Our experienced team offer pre sales service to answer any questions you have relating to the products by liaising with the manufactures. All our worcester domestic gas boilers products are genuine branded goods. If the item is in existence and on a UK shelf we will source it for you, in some cases when the part has even been obsolete for quite some years. Contract pricing and quantity discounts available on worcester domestic gas boilers, our contracts department can also aid in specification if needed. This greenstar 40cdi conventional ng boiler, 7712231636, measures 440mm wide by 360mm deep by 760mm high, and is able to extract more heat from the flue gases normally lost through the flue system. wh .. This greenstar 30cdi conventional ng boiler, 7712331888, measures 440mm wide by 360mm deep by 760mm high, and is able to extract more heat from the flue gases normally lost through the flue system. wh .. This greenstar 40cdi conventional ng boiler, 7712331890, measures 440mm wide by 360mm deep by 760mm high, and is able to extract more heat from the flue gases normally lost through the flue system. wh .. This greenstar 30cdi conventional lpg boiler, 7712331891, measures 440mm wide by 360mm deep by 760mm high, and is able to extract more heat from the flue gases normally lost through the flue system. w .. This greenstar 30cdi he boiler ng, 7712331893, measures 440mm wide by 360mm deep by 715mm high, and is able to extract more heat from the flue gases normally lost through the flue system. whenever hot .. This greenstar 30cdi conventional ng boiler, 7712331888, measures 440mm wide by 360mm deep by 720mm high, and is able to extract more heat from the flue gases normally lost through the flue system. wh .. This greenstar 37cdi combi lpg boiler, 7713331018, measures 440mm wide by 360mm deep by 760mm high, and is able to extract more heat from the flue gases normally lost through the flue system. whenever .. This greenstar 42cdi combi ng boiler, 7713331019, measures 440mm wide by 360mm deep by 719mm high, and is able to extract more heat from the flue gases normally lost through the flue system. whenever .. This greenstar 42cdi combi lpg boiler, 7713331020, measures 440mm wide by 360mm deep by 760mm high, and is able to extract more heat from the flue gases normally lost through the flue system. whenever .. This greenstar 27cdi he combi ng boiler, 7713331021, measures 440mm wide by 360mm deep by 716mm high, and is able to extract more heat from the flue gases normally lost through the flue system. whenev .. This greenstar 30cdi he combi lpg boiler, 7713331024, measures 440mm wide by 360mm deep by 760mm high, and is able to extract more heat from the flue gases normally lost through the flue system. whene .. This greenstar 550cdi highflow boiler ng, 7715330040, measures 600mm wide by 600mm deep by 850mm high, and is able to extract more heat from the flue gases normally lost through the flue system. whene .. This greenstar 440cdi highflow boiler ng, 7715330041, measures 600mm wide by 600mm deep by 850mm high, and is able to extract more heat from the flue gases normally lost through the flue system. whene .. This greenstar 440cdi highflow boiler lpg, 7715330053, measures 600mm wide by 600mm deep by 850mm high, and is able to extract more heat from the flue gases normally lost through the flue system. when .. This greenstar 42cdi floor-standing boiler ng, 7715430441, measures 400mm wide by 600mm deep by 850mm high, and is able to extract more heat from the flue gases normally lost through the flue system. .. This greenstar 30cdi floor-standing boiler ng, 7715430442, measures 400mm wide by 600mm deep by 850mm high, and is able to extract more heat from the flue gases normally lost through the flue system. .. This greenstar 30cdi floor-standing boiler lpg, 7715430450, measures 400mm wide by 600mm deep by 850mm high, and is able to extract more heat from the flue gases normally lost through the flue system. .. This greenstar room sealed fanned (rsf) boiler ng, 7716130137, measures 390mm wide by 270mm deep by 600mm high, and because it draws out more heat from the gases inside the flue it is an excellent val .. This greenstar room sealed fanned (rsf) boiler ng, 7716130138, measures 390mm wide by 270mm deep by 600mm high, and because it draws out more heat from the gases inside the flue it is an excellent val .. This greenstar condensing combi boiler ng, 7716130139, measures 400mm wide by 330mm deep by 710mm high, and because it draws out more heat from the gases inside the flue it is an excellent value. it h .. This greenstar condensing combi boiler ng, 7716130140, measures 400mm wide by 330mm deep by 710mm high, and because it draws out more heat from the gases inside the flue it is an excellent value. it h .. This greenstar junior condensing combi boiler ng, 7716130141, measures 400mm wide by 330mm deep by 710mm high, and because it draws out more heat from the gases inside the flue it is an excellent valu .. This greenstar junior condensing combi boiler ng, 7716130142, measures 400mm wide by 330mm deep by 710mm high, and because it draws out more heat from the gases inside the flue it is an excellent valu .. 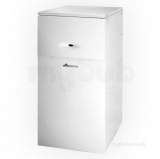 This greenstar condensing boiler system ng, 7716130143, measures 400mm wide by 330mm deep by 710mm high, and because it draws out more heat from the gases inside the flue it is an excellent value. it .. This greenstar condensing boiler system ng, 7716130144, measures 400mm wide by 330mm deep by 710mm high, and because it draws out more heat from the gases inside the flue it is an excellent value. it .. This greenstar condensing combi boiler lpg, 7716130145, measures 400mm wide by 330mm deep by 710mm high, and because it draws out more heat from the gases inside the flue it is an excellent value. it .. This greenstar condensing combi boiler lpg, 7716130146, measures 400mm wide by 330mm deep by 710mm high, and because it draws out more heat from the gases inside the flue it is an excellent value. it .. This greenstar junior condensing combi boiler lpg, 7716130147, measures 400mm wide by 330mm deep by 710mm high, and because it draws out more heat from the gases inside the flue it is an excellent val .. This greenstar junior condensing combi boiler lpg, 7716130148, measures 400mm wide by 330mm deep by 710mm high, and because it draws out more heat from the gases inside the flue it is an excellent val .. This greenstar condensing system boiler lpg, 7716130149, measures 400mm wide by 330mm deep by 710mm high, and because it draws out more heat from the gases inside the flue it is an excellent value. it .. This greenstar condensing system boiler lpg, 7716130150, measures 400mm wide by 330mm deep by 710mm high, and because it draws out more heat from the gases inside the flue it is an excellent value. it .. This greenstar condensing boiler lpg, 7716130151, measures 390mm wide by 270mm deep by 600mm high, and because it draws out more heat from the gases inside the flue it is an excellent value. it has a .. This greenstar condensing boiler lpg, 7716130152, measures 390mm wide by 270mm deep by 600mm high, and because it draws out more heat from the gases inside the flue it is an excellent value. it has a .. This greenstar condensing boiler ng, 7716130153, measures 390mm wide by 270mm deep by 600mm high, and because it draws out more heat from the gases inside the flue it is an excellent value. it has a s .. This greenstar condensing boiler lpg, 7716130154, measures 390mm wide by 270mm deep by 600mm high, and because it draws out more heat from the gases inside the flue it is an excellent value. it has a .. This greenstar condensing boiler ng, 7716130155, measures 390mm wide by 270mm deep by 600mm high, and because it draws out more heat from the gases inside the flue it is an excellent value. it has a s .. This greenstar condensing boiler lpg, 7716130156, measures 390mm wide by 270mm deep by 600mm high, and because it draws out more heat from the gases inside the flue it is an excellent value. it has a .. This greenstar condensing system boiler ng, 7716130168, measures 400mm wide by 330mm deep by 710mm high, and because it draws out more heat from the gases inside the flue it is an excellent value. it .. This greenstar condensing system boiler ng, 7716130170, measures 400mm wide by 330mm deep by 710mm high, and because it draws out more heat from the gases inside the flue it is an excellent value. it .. This greenstar condensing system boiler lpg, 7716130171, measures 400mm wide by 330mm deep by 710mm high, and because it draws out more heat from the gases inside the flue it is an excellent value. it .. This simplefit rsf flue extension, 7716191006, measures 750mm in length, and is a flue accessory for worcester bosch boilers. This elbow kit 90 deg, 7716191013, is a flue accessory kit for worcester bosch boilers, it includes sealant, screws and the 90 deg elbow. This flue elbow 45 deg (2 pack), 7716191014, is a flue accessory for worcester bosch boilers. This simplefit rsf flue kit, 7716191068, measures 200-500mm in length, and is a flue accessory kit for worcester bosch boilers. This vertical flue kit, 7716191079, is a flue accessory for worcester bosch boilers. This telescopic horizontal flue kit 100mm, 7716191082, is a flue accessory for worcester bosch boilers. This flue extension 60 / 100mm, 7716191083, measures 1 m in length, and is a flue accessory for worcester bosch boilers. This bend 60 / 100mm 90 deg, 7716191084, is a flue accessory for worcester bosch boilers. This bend 60 / 100mm 45 deg (2 pack), 7716191085, is a flue accessory for worcester bosch boilers. This plume management kit, 7716191086, is a flue accessory kit for worcester bosch boilers.